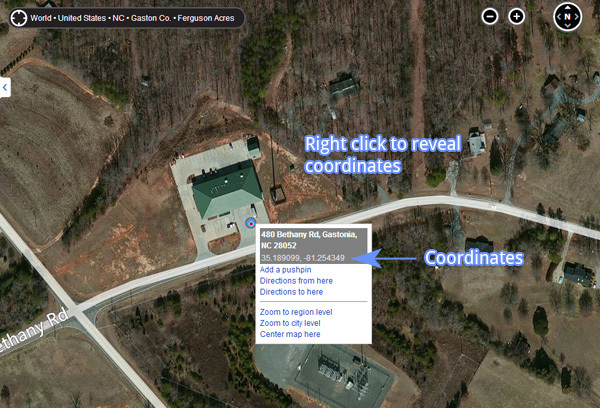 For help in determining coordinates, we recommend using Bing Maps. Find your desired point and then right click. You can then copy/paste the coordinates. You might also want to try itouchmap.com. Have another good site for obtaining coordinates? Leave us a comment below.